MultiBrief: What’s the best way to teach children to read? The two most often-used ways of teaching children to read are phonics and whole language. Each of these methods has committed advocates and both teaching methods are currently used, but according to The National Assessment of Educational Progress, more than half of fourth-grade students in the U.S. read below grade-level standards. What are we doing wrong? Phonics is a way of teaching children to read by showing how letters and groups of letters sound. It’s been around a long time — for at least 100 years. As you’d expect, the method has evolved over time. One popular current approach, synthetic phonics, emphasizes the sounds of phonemes, which linguists describe as the smallest meaningful units of speech. The "puh" sound in "pin," for instance, distinguishes the word and therefore the meaning of "pin" from "tin" or "win." Proponents of the whole language approach to reading begin by associating entire words with the objects they stand for. Rather than teaching a child to recognize the phonemes associated the word "dog," they begin with the entire word and reference it repeatedly with depictions of dogs and links to related meanings. The child may not think of the word as its three underlying phonemes ("duh," "aw" and "guh"), but will recognize that these three letters grouped together in a specific order represent "dog." This method more closely aligns with the way infants learn the meaning of words. Proponents of the two approaches have argued about which approach is better for decades. The argument has sometimes been bitter, with proponents of one approach calling the other "deeply flawed," and accusing advocates of the opposing method of deliberately misreading the research results. Organizations advocating the opposing approach “lack credibility” and are feeding these misreadings to "journalists desperate for click bait." One unfortunate result of this dispute is that in this country neither reading method is taught consistently. Some schools emphasize whole reading, others whole language. 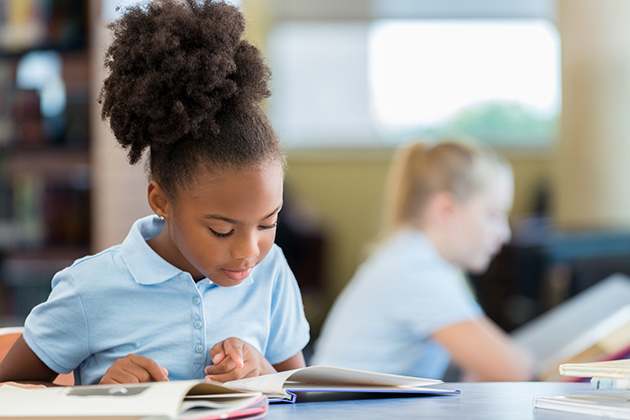 Even in the same school, a child moving from one grade to another may find their new teacher assumes their familiarity with an approach to reading they’ve not been taught. Chances are your child’s teacher may not have read the research on reading methods or may not even be aware of the results. A 2018 article on the debate in The New York Times maintains that the research clearly shows that children learn to read better when the emphasis is on phonics. This is also the conclusion drawn by both The National Assessment of Educational Progress and The International Foundation for Effective Reading Instruction, which cites 10 underlying studies that conclude that "conversion of letters into sounds is the key state in reading acquisition," and that even a "balanced" approach that introduces some aspects of whole reading into a program centered on phonics reduces its overall effectiveness. A 2018 documentary favoring phonics cites more than 50 articles and research studies confirming it as the better approach. Despite the preponderance of research favoring phonics, this is hardly a settled argument. Over 1,000 readers responded to the pro-phonics New York Times article, many of them first establishing their credentials as experts on the subject, and then disagreeing with one another emphatically. If You’re a Parent, What Should You Do? One study concluded that only about 4 in 10 reading programs are based on research of any kind. Sometimes education majors are simply asked to formulate their own "personal philosophy" about learning to read. Worse, most deans and faculty in university education departments are unfamiliar with recent research or can’t explain it. This debate is unlikely to be concluded soon, so what, meanwhile, should you do when you’re selecting a school for your own child? Probably the safest approach is to favor private schools and public school districts that emphasize phonics, but without being doctrinaire about it. The more effective whole language learning programs incorporate aspects of phonics in their curriculum. Although phonics is confirmed as the better approach in most research studies, phonic programs that go beyond a strictly phonemic approach also do well and may fit some students better. But a program that focuses on the whole language approach exclusively is inadvisable. Finally, what almost all educators agree on is that children who grow up in households where reading is a part of daily life read faster and with better comprehension and retention than those who do not.